Easy to prepare. Just add chicken, sausage and water. 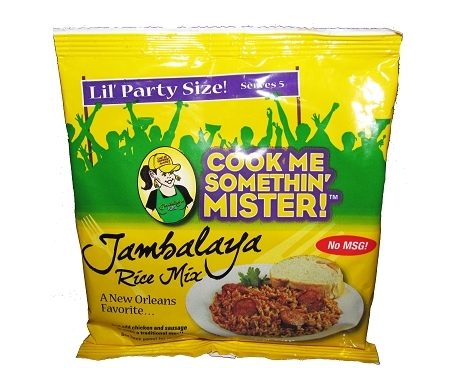 Mix contains rice, New Orleans seasonings and vegetables, including dried onions and bell peppers. 8 oz. bag feeds 5 Hungry Party People. 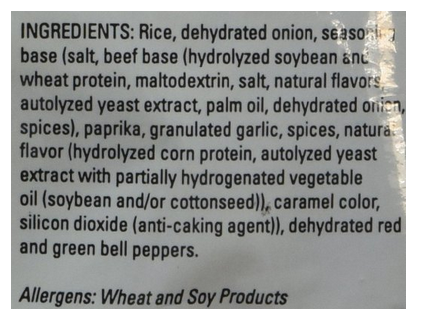 Mix contains NO MSG and NO PRESERVATIVES. 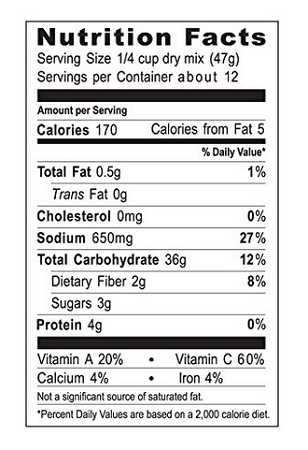 60% of daily Vitamin C requirement in 1 serving. 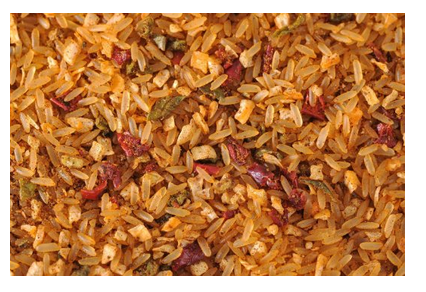 Tastes great when you substitute seafood or vegetables for meat, or serve as a plain rice dish.